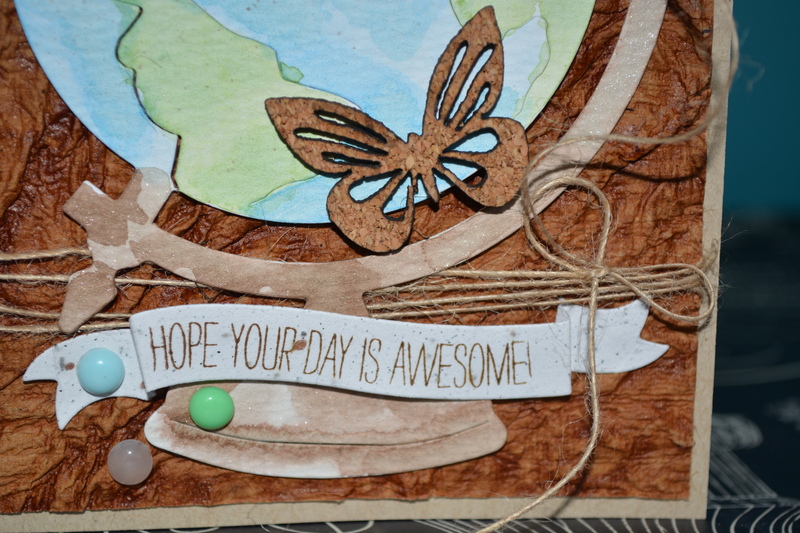 This evening, while watching Jen (ozegran) on ustream I made a little card to share with you all. 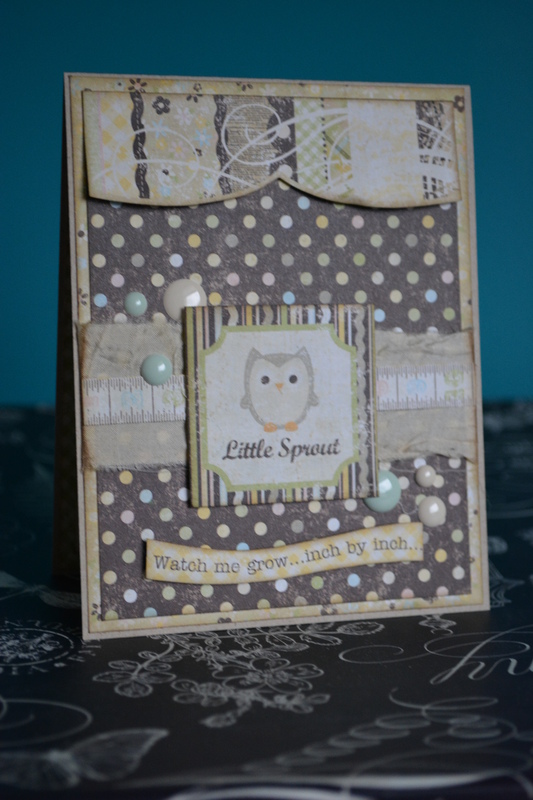 Started with a little stamping, colouring, and fussy cutting. Unfortunately I don’t know what the name of this stamp set is, it came from CC Designs in their clearance section a while ago. 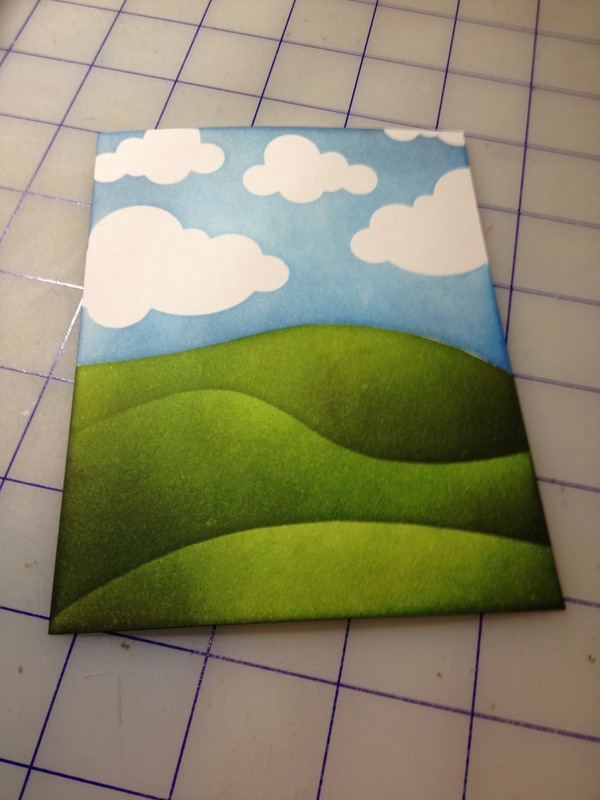 Then I made a back round using distress ink. Then I put all together. Blah, sorry about the lighting. The unfortunate part of taking photo’s at 11 at night. 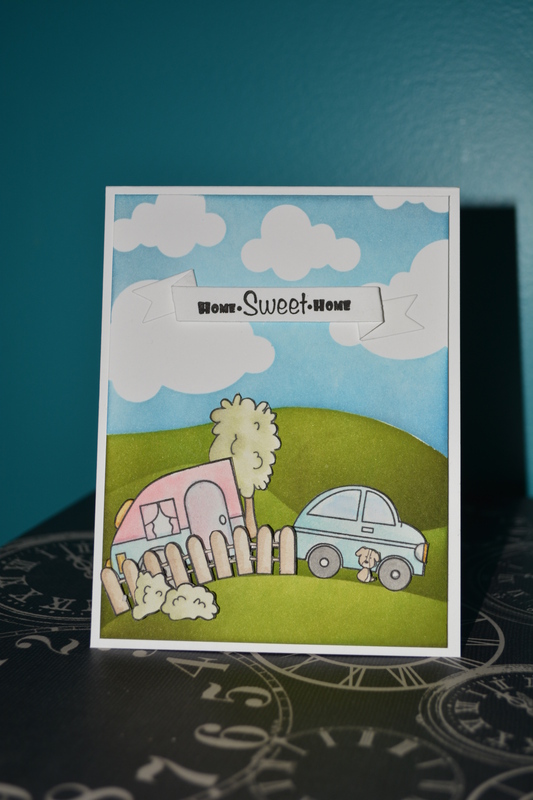 Mother’s Day is coming… so I made a Mother’s Day card. 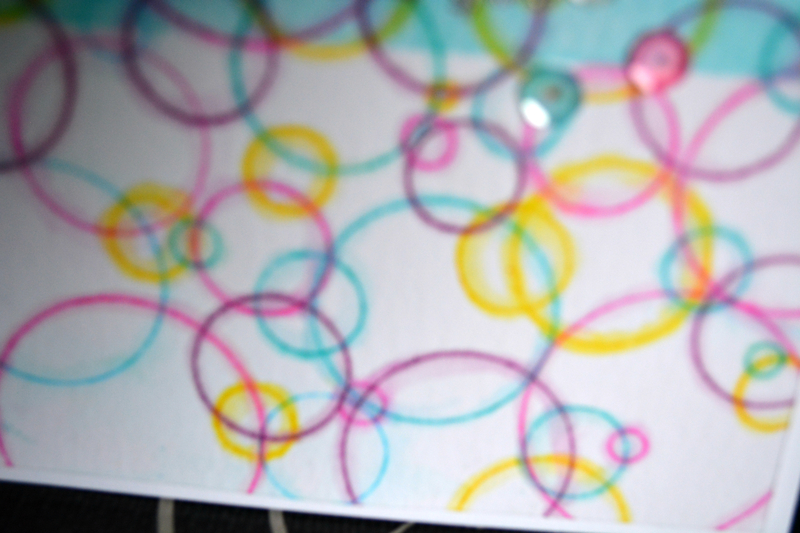 I think it is rather lovely, pretty, fuzzy circles. Okay, I had trouble getting this picture. It’s snowing at the end of April! So it is slightly out of focus but not as much as you would think. 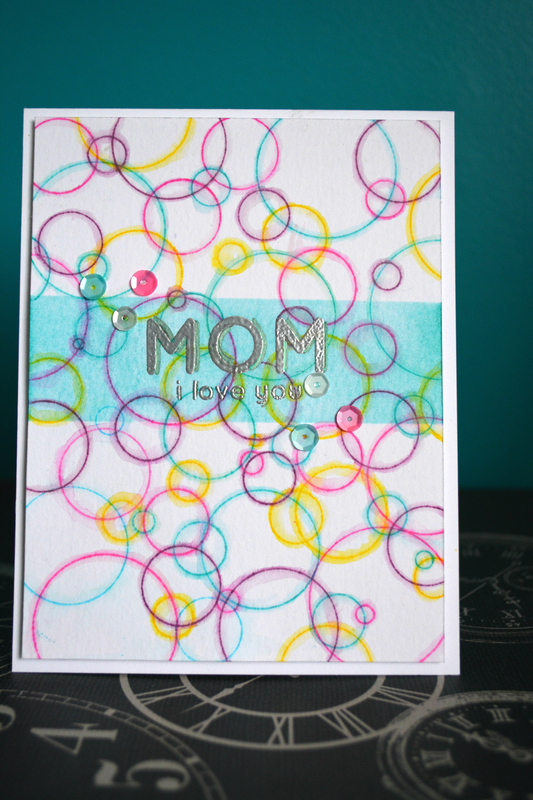 The circles were stamped then went over with water to make them wick out. 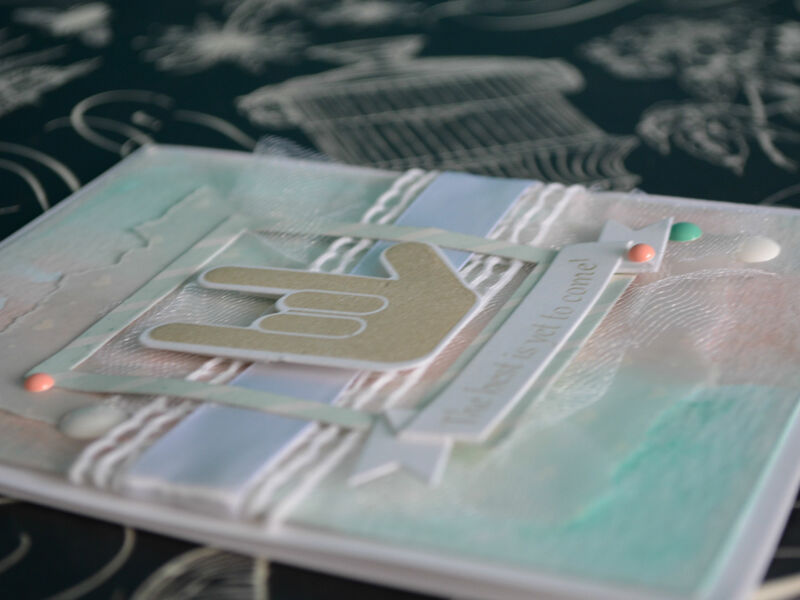 This weeks challenge is to make a birthday card, but there is a twist… *insert dramatic pause here* The card should be able to be used for both males and females. This is done on watercolour paper, I am still unsure if I like the card or not. But you never get better if you don’t try! There are a couple of close ups, it really was fast once I had the colours ready. Slopped it on, didn’t blend, but all in all it was fun. So after being sick for a few days and not being up to doing much. 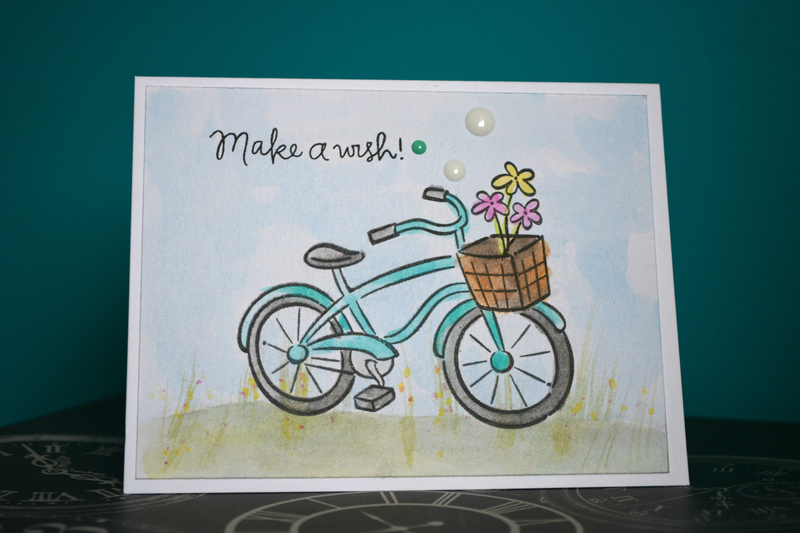 I was in google hangouts last night with a friends who are also taking the watercolor for card makers . 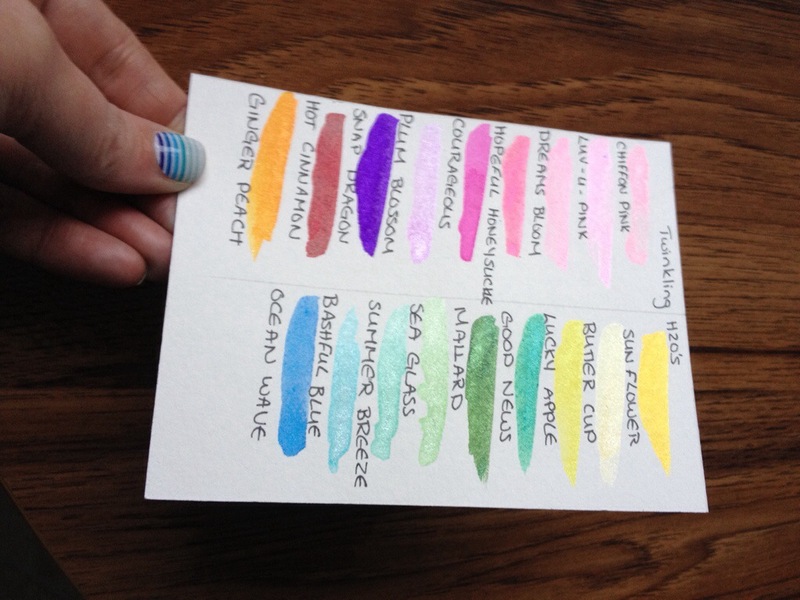 They were working on their swatches for the class, to see all the colours of their different mediums when they have been used with water. I jumped on board. This is by no means all of the different things I have. 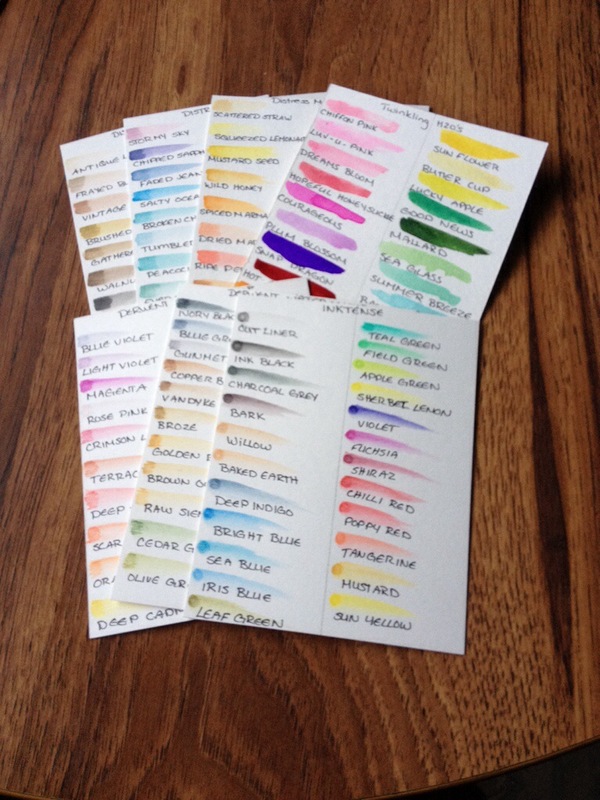 I hope to finish the rest of my swatches today, aside from my gelatos, which are still on their way to me. Here is my small collections on Twinkling H2o’s. I had to hunt for them as I forgot where I put them. Ha ha. Shows how often I used them. Distress markers. 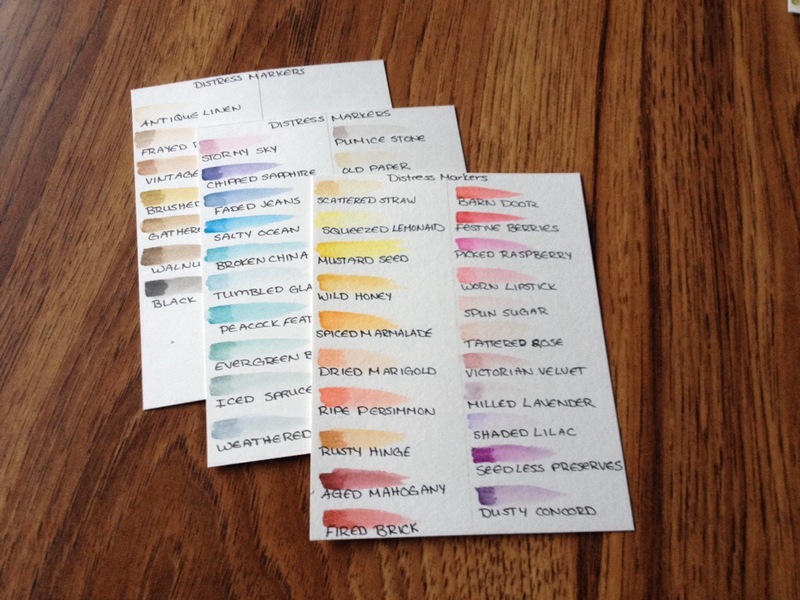 I didn’t swatch out the white for, hopefully, obvious reason. 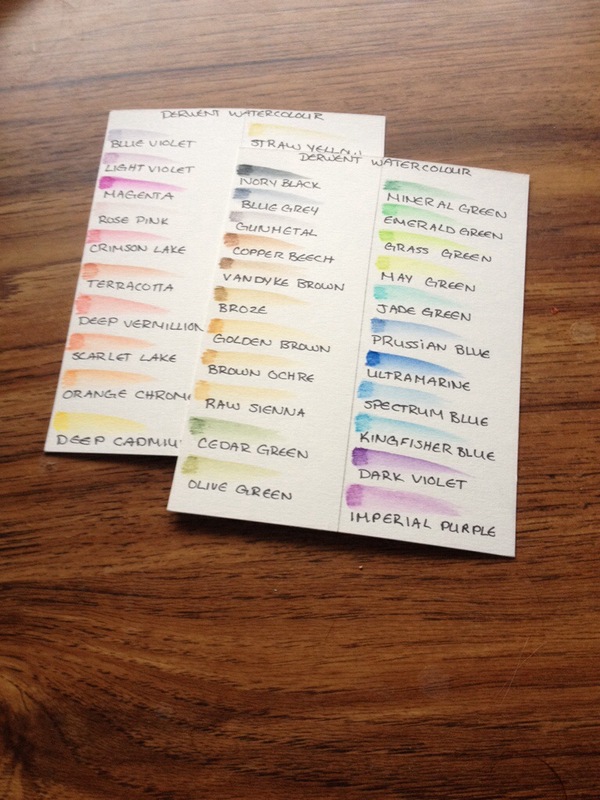 These are my Derwent Inktense colours. I have them both in the pencils and the blocks. I will one day splurge and order the large set of the pencils. Oh how heavenly that would be. 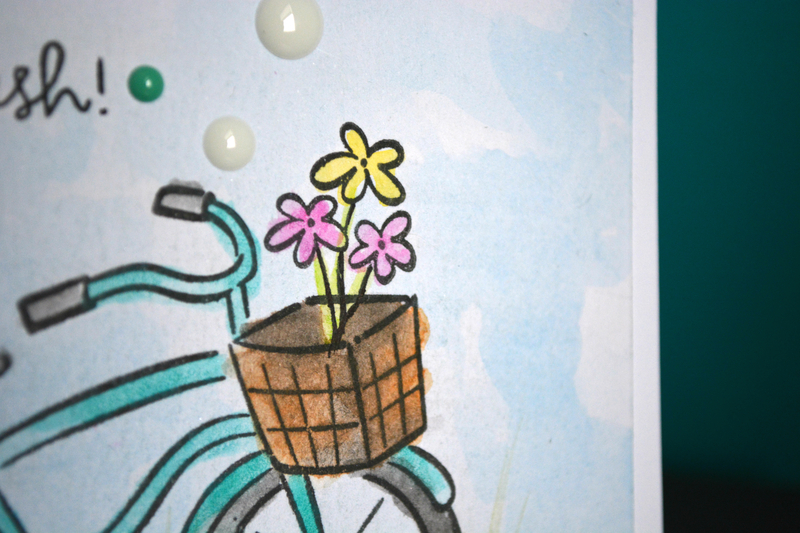 Its not very often I make a card with a lot of patterned paper lately, never mind with only patterned paper. 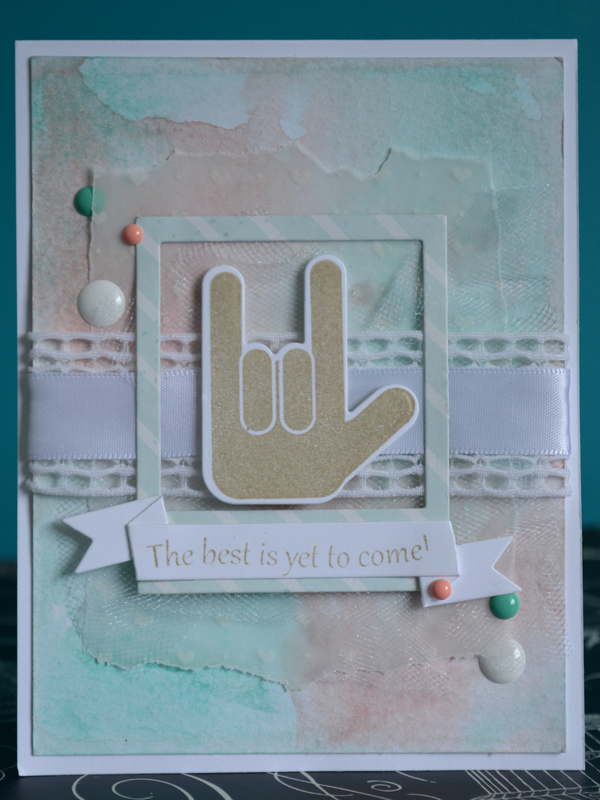 I am talking no stamping what so ever, nothing else aside from a small bit of ribbon and adding some ink around the edges. *Insert random vent* Lighting is horrible today with rain and all that, and no matter what I do I can not get a good photo of this card so I apologize for that. I pulled out a paper pad from 2011 that I have loved forever, and may possible be hoarding. 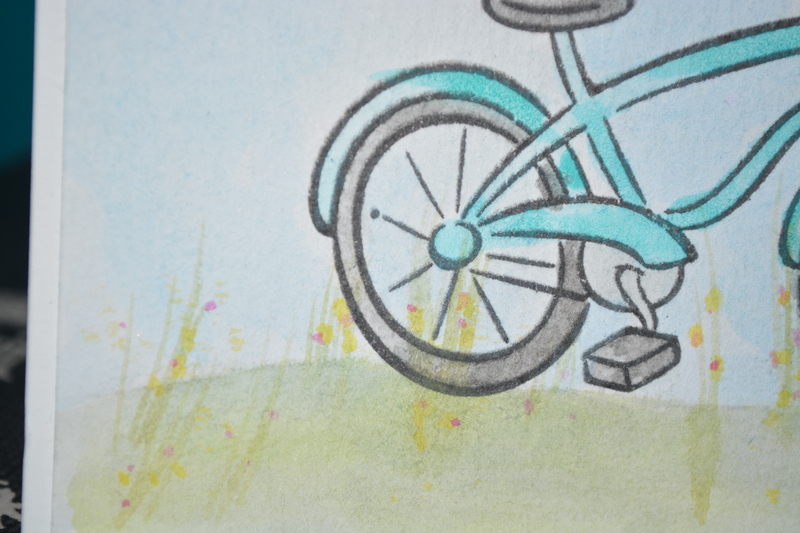 More watercolour, yes it has become an obsession. What can I say when I love something I kinda run with it. The lighting in this card isn’t great, and I apologize for that, unfortunately the colour’s coming in through the window just weren’t quite right. Anyway. 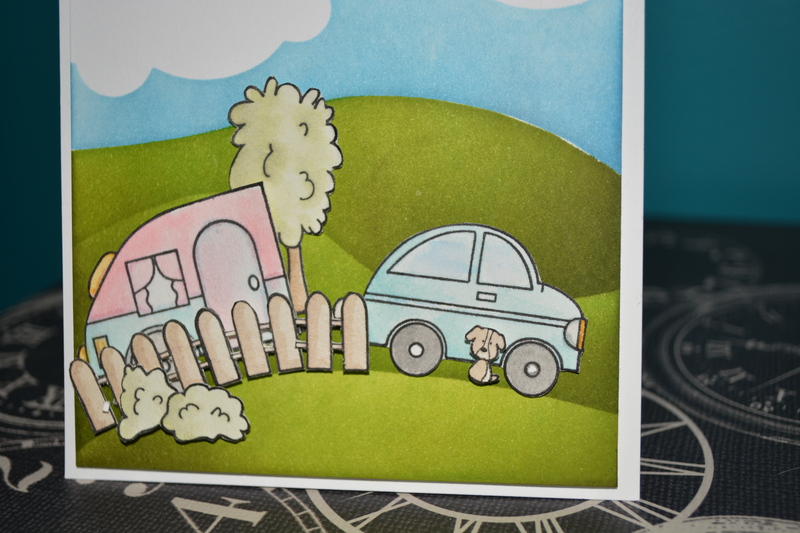 onto the card, I again used Heidi Swapp colour shine to make this card, Blush, Mint Green, and White are the colours I used. 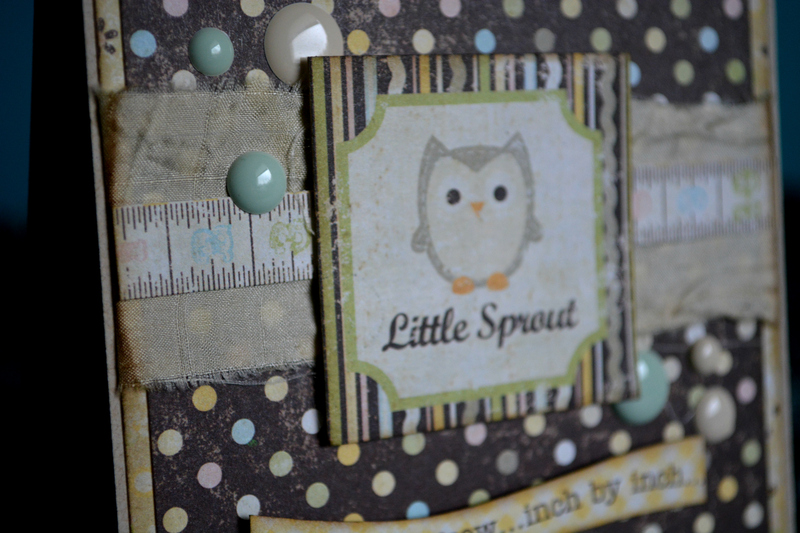 The stamps are from Simon Says Stamp, Love Languages, and Tilted Banner Stamp’s and dies. 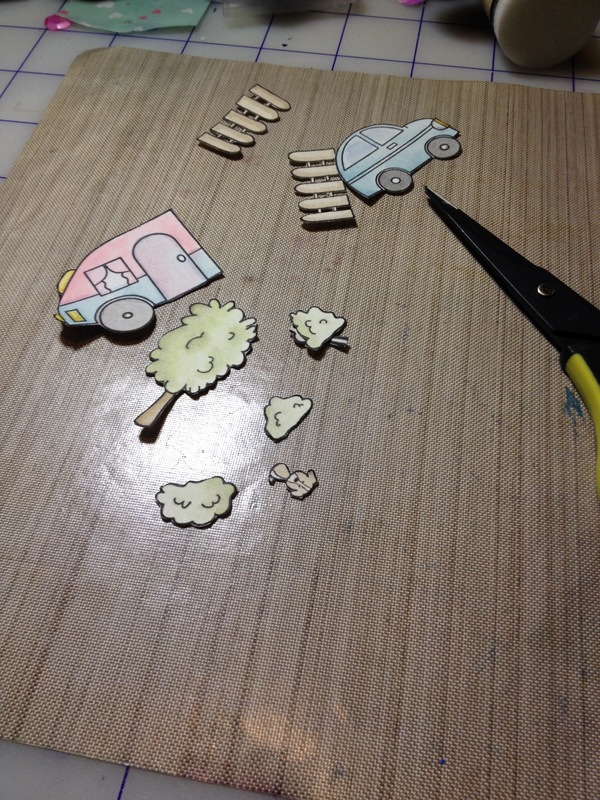 The Polaroid Frame is a die from The Greeting Farm. 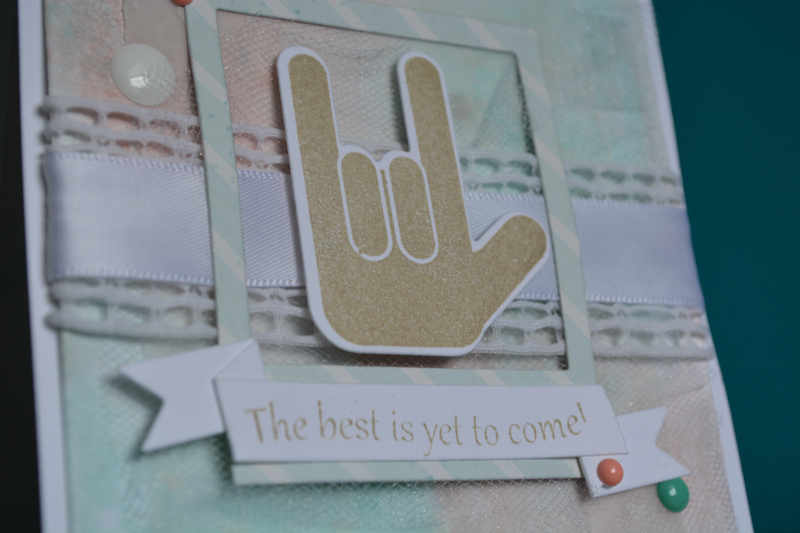 The Ink used to stamp the hand image, and the sentiment is Crumb Cake from Stampin up. 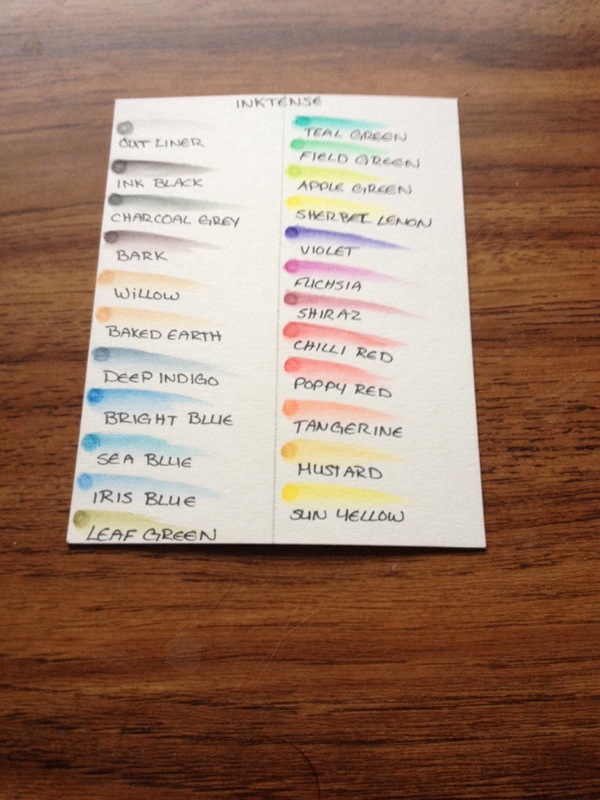 The white enamel dots are from My Minds Eye, and the others are from Basic Grey. Laces and trims are as usual from my stash, as well as the vellum with the tiny hearts in the back round. I probably bought it all from a garage sale somewhere. Here is this weeks challenge folks, something to do with earth day, trees, no lights, the earth itself, wind, water, you know all that good stuff. Think outside the box it doesn’t just have to have an earth slapped on the card, although, my card is using an earth… go figure. lol. 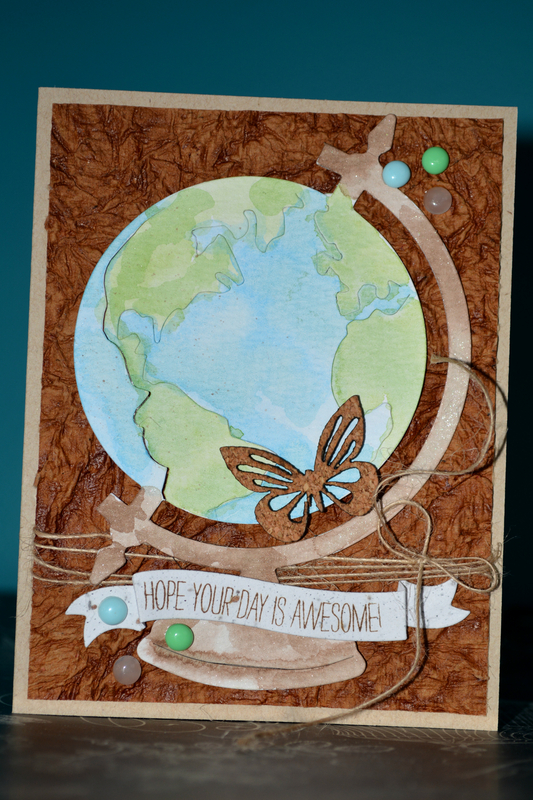 I thought it turned out really fun with the Globe Die cut and watercolouring.